Vinhomes Serviced Residences rental, View a wide range of “All-in-one” residence for sale also serviced apartments and villas for rent in Vietnam’s by leading urban complexes in Hanoi developed by Vingroup, including Vinhomes Riverside - The Harmony seviced Villas for rent, and serviced apartments for rent, Vinhomes Royal City is located at 72A-74 Nguyen Trai Road offer a thousand stylish and functional furnished and unfurnished apartments range from 2-4 bedrooms and luxury Penthouse with garden, modern amenities, schools, shopping malls green and modern features, Vinhomes Times City - Park Hill is located at 458 Minh Khai Street, Hai Ba Trung District Hanoi, it is inspired by Singapore’s green architecture, the condominium complex combines urban living with a resort lifestyle. Park Hill reserves more than 70% of its area for landscaping, highlighted by an iconic clock tower, a green hill overlooking the development, a splash park, and an outdoor and indoor swimming pool system. 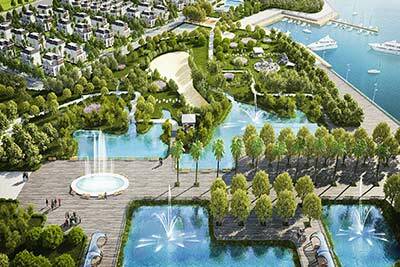 Furthermore, the project boasts high-end facilities such as international-standard schools and a hotel-style hospital, a Vincom Mega Mall, sport centers and open space for family activities. 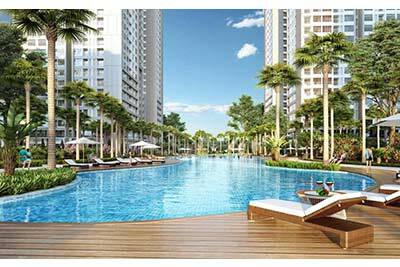 All of these facilities, integrated within one project help form a one-of-a-kind residential complex that meets the requirements of the most discerning residents including overseas Vietnamese and foreigners. In addition, the duplex shophouse model with multi-functional spaces for accommodation and retailing is a highlight of Park Hill, bringing about attractive opportunities for owners and investors.Vincom Ba Trieu in Hanoi, Vinhomes Gardenia, Vinhomes Nguyen Chi Thanh and Vinhomes Metropolis etc. All property has modern designed, luxury furnished, the rent are included management fee, Pool, Gym, cleaning service and more! Vingroup founded by Mr. Pham Nhat Vuong is Vietnam's largest real estate company and deals in a wide range of properties, including houses, shopping malls, hotels, golf courses and hospitals. The company has enhanced its brand cachet by targeting its Vincom shopping malls and Vincom Village residential areas at affluent customers Each of its businesses bring Vietnamese consumers to a brand new, modern life-style with international-standard products and services. Vingroup has created a respected, well-recognized Vietnamese brand and is proud to be one of the nation’s leading private enterprises. Vinhomes Serviced Residences offer the largest a range of smart homes including serviced apartment and villa in many project at any District of Hanoi, With fully furnished and tastefully furnished from two to four bedrooms and even the one bedroom Deluxe Room is also spaciously designed, comes with a luxury home office and is available at extremely reasonable prices. Going beyond the usual amenities, Vinhomes Serviced Residences is proud to offer customers a new lifestyle through countless opportunities to explore and connect with the diverse culture in its communities. Villas and apartments for lease are set in the middle of a luxurious architectural complex amongst sophisticated communities. Residents are immersed in friendly atmosphere embraced by the warm and familiar breath of life in their own home.